Fishing in Yosemite can be relaxing and exhilarating, all in the same day. Plus, your catch can often be served for dinner! Yosemite is home to a number of fish, including crappie, brown, golden, brookies and rainbow trout, and trout stream fishing is probably your best bet in the summer. The park has 58 permanent streams with a combined length of 770 miles. The Merced offers enjoyable fishing all summer and into the winter. Anglers hook excellent rainbow and brown trout on the Tuolomne River, especially on the stretch above Hetch Hetchy. Fishing tends to be better at lower elevations. The only restriction for keeping fish is for wild rainbow trout on the Merced in the Valley proper; that stretch is catch-and-release only. In the fall, when the Tuluomne and Merced rivers are at their lowest ebbs, fishing is best in the lakes. Visitors have recommended Tenaya Lake for its fall action as well as the Hetchy Hetchy reservoir, both reachable by car. Tenaya is located off Tioga Road and, at 150 acres, is one of the three largest lakes in the park. Rangers tell visitors that the catch can be even better outside the park in Inyo National Forest, where the Forest Service actively stocks trout. Stream and river fishing season (in most park areas) begins on the last Saturday in April and continues through November 15. Lakes and reservoirs are open to fishing year-round. You need a license to fish in California (including all park areas) if you are 16 or older. See below for locations where you can acquire a license. No live or dead minnows or other bait fish, amphibians, non-preserved fish eggs, or roe may be used or possessed. Only artificial lures or flies with barb-less hooks may be used; bait fishing is prohibited. 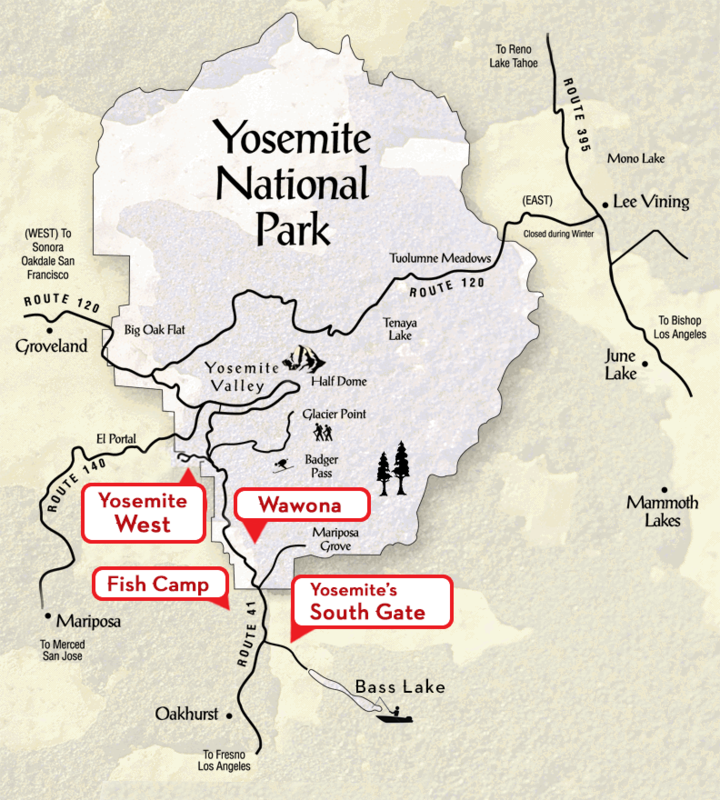 You can purchase gear, including fishing licenses, at the Yosemite Village Sport Shop, Curry Village Mountain Shop, and at the general stores in Wawona and Tuolumne Meadows.